InTime Impact Report What was InTime's Effectiveness and Impact on Faculty and Preservice Teachers? This article describes the outcomes of a project sponsored by the Preparing Tomorrow's Teachers to Use Technology (PT3) initiative from the U.S. Department of Education. The Integrating New Technologies Into the Methods of Education (InTime) project was designed to provide the necessary resources for methods faculty to revise their courses and to model the appropriate use of technology in their classes. Additionally, it supported teacher education students in the application of technology in their lessons and units. The article provides a summary of the impact of project-developed materials on faculty participants and teacher candidates involved in the project. The data were collected to determine the effectiveness of the materials throughout the 3-year duration of the project. The following instruments were used in the study with 35 faculty participants and approximately 1,100 teacher candidates in their classes: surveys, questionnaires, rubrics, phone interviews, WebCT forums, a video case study, and teacher reflective practice documentation (revised syllabi, technology integration action plans, and individual reports). Results from the data analysis indicated that the web-based video materials produced by InTime were an appropriate and powerful tool that supported learning by university faculty, teacher candidates and inservice teachers. Integrating New Technologies Into the Methods of Education (InTime) is a 1999 Catalyst grant for Preparing Tomorrow's Teachers to Use Technology (PT3) from the U.S. Department of Education to the University of Northern Iowa College of Education. Goals for InTime were developed as a response to reports from the National Council for Accreditation of Teacher Education (NCATE) and the federal Office of Technology Assessment (OTA). These reports have called attention to existing deficiencies in teacher preparation programs in preparing preservice teachers to use technology effectively in the PreK-12 classroom. Therefore, the purpose of the InTime project is to provide the necessary resources for methods faculty to revise their courses to model technology integration and require teacher education students to apply technology, along with components of quality education, in their lessons and units. Krueger, K., Boboc, M., Smaldino, S., Cornish, Y. & Callahan, W. (2004). InTime Impact Report What was InTime's Effectiveness and Impact on Faculty and Preservice Teachers?. 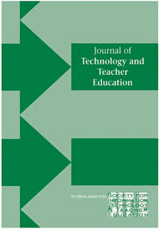 Journal of Technology and Teacher Education, 12 (2), 185-210. Norfolk, VA: Society for Information Technology & Teacher Education. Retrieved April 22, 2019 from https://www.learntechlib.org/primary/p/12784/. Boboc, M. (2002). Integrating new technologiesin to the methods of education (INTIME): Its impacton the professional practice of participating teacher educators. Unpub l ished doctoral dissertation, University of Northern Iowa, Cedar Falls, IA.